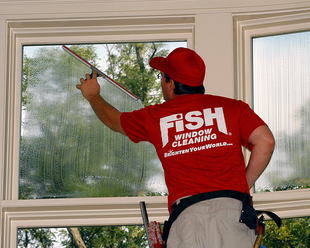 Welcome to Fish Window Cleaning of Ashland, Bedford, Concord, Dedham, Framingham, Holliston, Hopkinton, Lexington, Lincoln, Medfield, Mills, Natick, Newton, Needham, Sherborn, Southborough, Sudbury, Waltham, Wayland, Walpole, Westwood, Wellesley, and Weston, MA! We are your local window cleaning company ready to serve your home or business! Call today for a free on-site, no obligation estimate! We want to make your decision to hire a window cleaning company any easy one. When you choose FISH, we are committed to your satisfaction. If something is not right, we'll make it right! Our window cleaners are licensed, bonded, and insured for your protection and we accept all major credit cards for your convenience! We want to help make your life a little easier! We understand that you're busy and washing the windows has probably dropped to the bottom of your to-do list. Let us cross window cleaning off your to-do list as well as cleaning your gutters, ceiling fans, outdoor light fixtures, and more! We even provide pressure washing services. 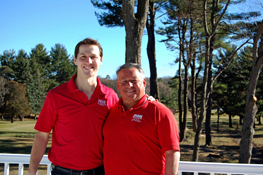 Give us a call or click on the red "Free Estimate" button above and a member of our professional, uniformed team will come to your home to provide a free, no obligation estimate of our services. Do you ever wish there were more hours in the day to get everything done? Let us help you complete some tasks so you can focus on the important aspects of running your business! We can remove the streaks, smudges, and fingerprints from your large storefront windows, office windows and doors, or any other commercial building. We can even clean the awnings over your windows. We can create a custom maintenance program just for your business that meets your needs, schedule, and budget. Why have we quickly grown to be the largest window cleaning company in the world?